Coming up is my Texas Rangers group. I had done a drawing of them on poster board, but sadly it is long gone now. 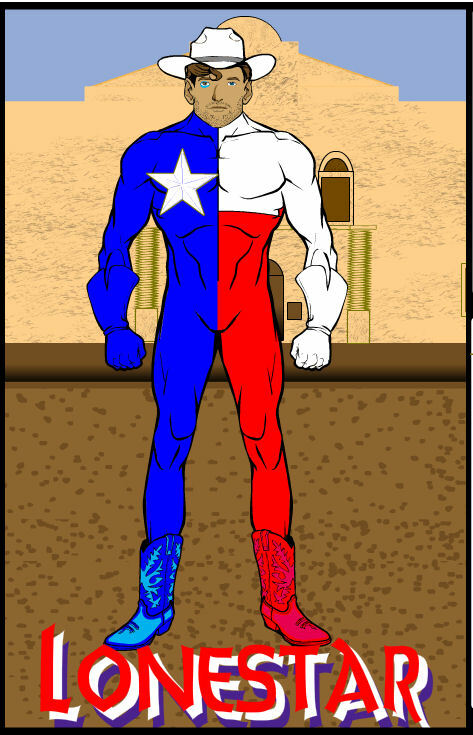 He is the leader Lone Star – Logan Starr. He is a basic super soldier, with peak human strength, Dexterity, Constitution. Skilled in various martial arts and acrobatics, tracking, and survival.